We must protect this … clubhouse! This company founded in 1996 is better known for its football collection but got into the golf game two years ago, bringing much of the same tactics to the links. 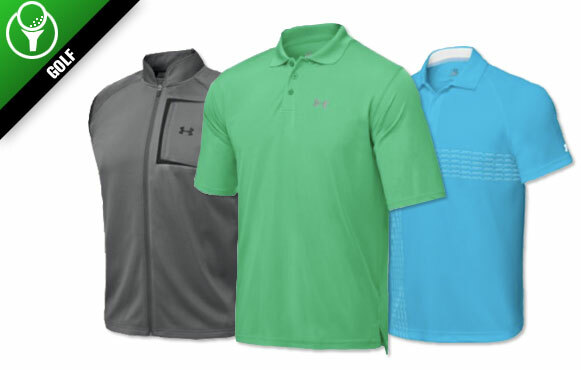 We could get into all sorts of specifics about the technologically advanced enhancements and improved material of this line, but here's everything you need to know: Under Armour gear keeps golfers cool when it's hot and warm when it's cold. Simple as that. From its Stableford vest to the torque polo to the forged plaid shorts, UA employs a football mentality that blends with golf style. On-the-course huddle is optional.